Thinking of making bread at home yourself? We recently invested in a Zojirushi bread maker and have found the best bread slicers and bread knives too! 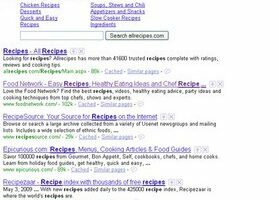 Here are the top 10 food websites people are searching to find something to put on the table. The Scribd site is very well done. After signing up for my free account, I browsed for cookbooks and found a page with a slew of them. Many of the titles are small publications from Scribd community members, but as I scrolled down I found cookbooks by Jamie Oliver, Wei Chuan, and other popular chefs. 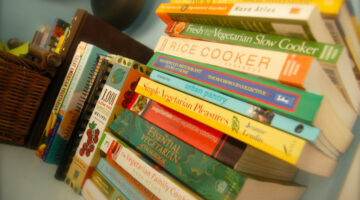 What do you do when you look at your bookshelves and you see more than 100 cookbooks there? If you’re Heidi Swanson, you break out the pans. And the computer. Heidi is an award-winning photographer and author who one day in 2003 decided it was time to stop buying books and start cooking what’s in them. The founder of GlobalGormet.com, which is one of the first cooking sites on the Internet, and more recently NewGreenBasics.com, Kate Heyhoe has written several cookbooks. 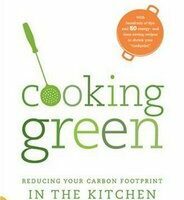 But it’s her latest book, Cooking Green: Reducing Your Carbon Footprint in the Kitchen — the New Green Basics Way, that tackles HOW you cook. Which, she says, is just as important as WHAT you cook. Cook Yourself Thin is a British favorite that Lifetime Television is bringing to our shores this spring. The first season is 20 episodes and will show viewers how to eat foods they like, that taste good, and that will help them lose weight.